Native to Africa, the amazing baobab (Andansonia) tree can live for over 2,000 years. Over its long life, it can grow so wide that it can take 40 adults with outstretched arms to encircle it. The baobab tree’s massive trunk can store up to 120,000 liters of water, and its nourishing fruit is exceptionally rich in vitamins, calcium, iron, and potassium. Because it has provided people and animals with water, shelter, and food, the baobab tree is also known as the Tree of Life. By utilizing the unique properties of the baobab tree, Elemente Oasis products are specially formulated to hydrate, soothe, and protect skin. Perfect for all skin types, every skincare routine can benefit from Elemente Oasis! 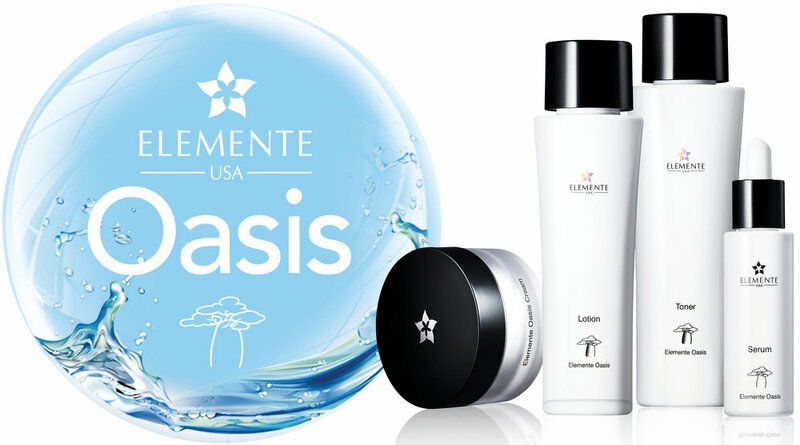 Use Elemente Oasis Toner to Hydrate and Prepare Your Skin. Begin each day with this revitalizing toner that gently soothes and hydrates your skin. Apply toner after cleansing to prepare your skin for make-up or additional moisturizers. Directions: Gently pat onto cleansed face. Use a cotton pad if desired. Apply Elemente Oasis Serum to Targeted Areas of the Face. Nourish your skin with the intensive hydration of the baobab tree to leave your skin looking firm, supple, and luminous. Directions: For use after Toner. Gently apply a small amount onto your face and problem areas. Massage Elemente Oasis Lotion into Skin for Unmatched Hydration. Indulge yourself with this baobab-infused, non-greasy moisturizer that leaves your skin feeling softer and smoother with daily use. Directions: For use after Serum. Gently apply Elemente Oasis Cream After Removing Make-up to Nourish Skin Overnight. Complete your skincare routine with this richly nourishing moisturizer at bedtime to wake up with radiant, healthy looking skin.